For many, Calais holds a special place in the heart, remembering that first glimpse of France from the ferry years ago. Beyond that however, too many visitors have a preconceived and misguided view of Calais as lacking in character and, as a result, hurtle out of town without so much as a passing peek. If you too were unaware that the sculptor Rodin, haute couture, a sandy beach and great gastronomy are all part of the Calais scene, read on… it might be time to linger longer! Cross-channel passengers head to Cité Europe’s immense shopping centre in their thousands but for something a little more authentic, the real deal is in the Centre Ville. In Calais, a local marché is by far the best way to sample all that is fresh, local and good value for money. This is your chance to take home some longer-life local goodies too. Take your pick: Calais’ morning markets take place on Wednesdays at Place d’Armes, Thursdays at Place Crèvecoeur (in the St Pierre district, so allow a little extra walking time) plus in both locations on Saturday mornings. If you’re self-catering nearby (try Gîtes de France for cottages and rentals) also head down to the aubettes in the Quai de la Colonne area, where fishermen sell their wares directly to the public from their stalls. It really couldn’t come much fresher than that could it? Top quality boulangeries-pâtisseries are in no short supply in Calais. Try the Artisan Boulanger on Rue Royale or equally popular Aux Délices de Calais on Boulevard Jacquard. 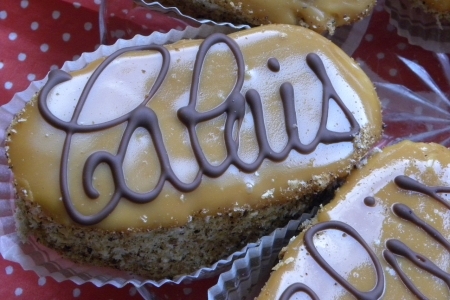 Both sell a mouth-watering local cake called Le Calais: macaroon pastry, coffee-icing, coffee-buttercream and a coating of almonds. It’s not for sharing! What to eat and where to eat it in Calais? 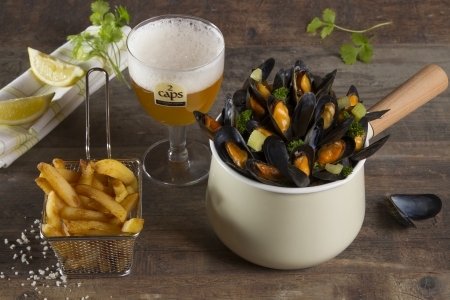 Food and drink is generally top of the agenda for visitors to France, and if you’re a fan of fish and seafood, you’ve come to the right place. elegantly art deco - with chef’s very high-quality plats du jour. Busy on a Monday lunchtime, so clearly doing something special! For a less formal lunch, try le Welsh (or Welch), a richly delicious dish made by pouring melted cheese over toasted bread and ham, often topped with a fried egg. Go for the Maroilles variety; it’s a good, strong cheese made in the region. Where to wander in Calais? One of the best-loved strolling spots in Calais is along its sandy beach, and locals love to watch the frequent ferries come and go from the pier. To see the sights in town, the Tourist Office - bang opposite the station – provides a suggested route to make sure you don’t miss any of the major landmarks, from Rodin’s Les Six Bourgeois statue to the World War II museum, Tour du Guet tower and statue of Mr and Mrs de Gaulle. Alternatively, consider booking a Greeter, a local resident who loves their town and volunteers to show you around. You could start off by getting a feel for the town from on-high. Either climb the 271 steps of the lighthouse (le phare) or enjoy the 360° view from the top of the town’s handsome belfry tower (where there’s a lift!). Culture-vultures must allow time for the Musée des Beaux Arts (Fine Arts Museum) for a deeper understanding of Rodin’s work, temporary exhibitions and more. From April 2018, the theme will be iconic couple Serge Gainsbourg and Jane Birkin. 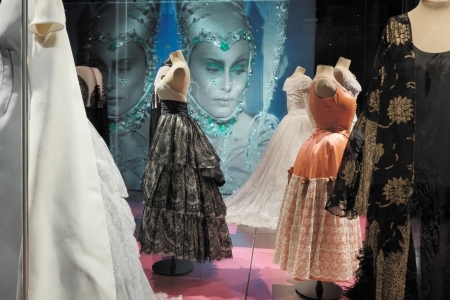 The impressive, state-of-the-art museum Cité Dentelle Mode (Museum of Lace and Fashion) essentially tells two stories; that of Calais’ fascinating lace-making heritage and also of its place both in leading fashion houses and on the world stage. What else is there to do in and around Calais? Christmastime in Calais is enough to awaken the child in all of us and here, all the locals get together – with some vin chaud, waffles and chestnuts of course – to enjoy events on the festive calendar. This year’s highlights are ice-skating, a circus, carousel, parade, laser show, Village de Noël and of course, the Christmas market. Ask any local where you can enjoy a magical moment around here and they’re likely to tell you to head for Cap Blanc Nez on the coast road, a 20 minute drive out of town. 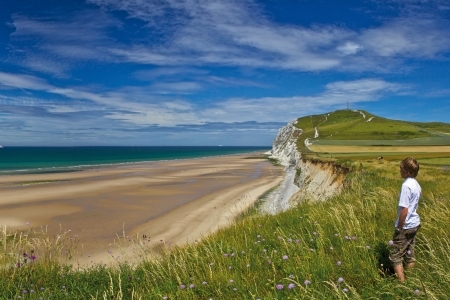 It’s the site of dramatic chalk cliffs and on a clear day, you can see England’s counterparts across the water. Try Cercle de Malines, a boutique B&B, housed in a 19th century former lacemakers’ residence. A warm welcome, stylish décor and a great breakfast. All in all, it turns out that Calais has more than its fair share of the quintessentially French je ne sais quoi after all!